*Combo packs subject to availability. Substitutions may be made if one of the spices listed in the pack is out of stock. If more than one is out of stock, we will contact you prior to shipping. All you garlic lovers, this spice mix goes out to you. 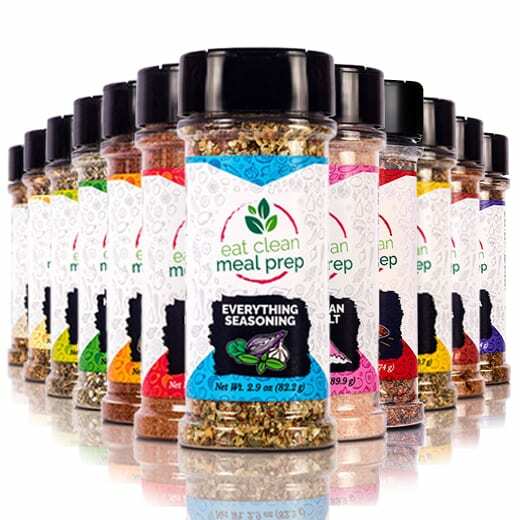 If you’re not afraid of adding bold garlic flavor to your meal creations, our Garlic & Herb spice mix is your golden ticket to a mouth-watering, savory paradise. We invited a lot of other herbs and spices to the party. And each add their own distinct and complimentary flavor to the mix. . .
There’s a noticeable oregano taste, a fresh burst of flavor from celery seeds, and a unique hint of thyme, which adds to this mix’s individuality. There’s also a mild hint of heat from cayenne and paprika to add another layer to this mix’s flavor profile. The deep layers of roasted garlic accented with the Italian flavors from the organic herbs and other seasonings makes this mix perfect for spicing up everyday meals! Remember that delicious smell that wafts in with a freshly bought and freshly delivered pizza. The hints of roasted garlic, that good ol’ Italian seasoning, and a peppery flavor finish it all off. Want to add a dash of those familiar, mouth-watering pizza flavors to your more. . .err. . .healthy meal endeavors? Well, now you can! With our Pizza is Life spice mix, you can add the sultry flavors of roasted garlic and Italian herbs to your next meal! Eating healthy doesn’t mean bland food! Enjoy that familiar savory flavor of pizza seasonings without the overly sweet, overly salty additives! Our fresh spice mix uses only organic ingredients and brightens up the more traditional pizza flavor with a complex layering of herbs and spices. When you cook with our spice mix, you’ll not only taste that garlicy, Italian seasoning, but you’ll also taste fresh basil notes, transitioning into a smooth tomato sauce tang, and a perfectly peppered finish. Oftentimes, when a description tells you that a product is “what it says on the label,” you can assume it’s just lazy writing. However, this time, it’s a fairly valid remark. Let us demonstrate. . .
Onion powder to pack a flavor punch, lots of strong black pepper, a hint of fresh basil, oregano, the subtle yet complex flavor of celery seed, bay, the minty freshness of savory, thyme, a hint of heat with cayenne pepper, coriander, cumin, the wonderful sweet and spicy flavor of mustard, a bright dash of rosemary, smooth roasted garlic, lemon in all manner of forms, exotic turmeric, and chili powder. And that’s the ingredient list. Guess there’s something to that old saying after all. We think this mix goes best with chicken and fish, but you can pretty much use it on…everything.